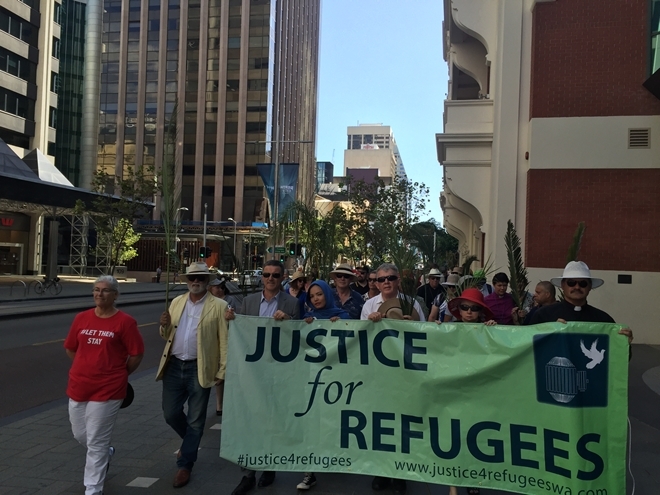 It was great to see so many people turn out to the Perth Palm Sunday Walk for Justice for Refugees 2015. We thank the photographers for allowing us to share their photos here: ZebedeeParkes.com, Kikei.net, Geoff Bice, Eira Clapton. Noongar elder and UCA minister Rev Sealin Garlett gave the Welcome to Country. 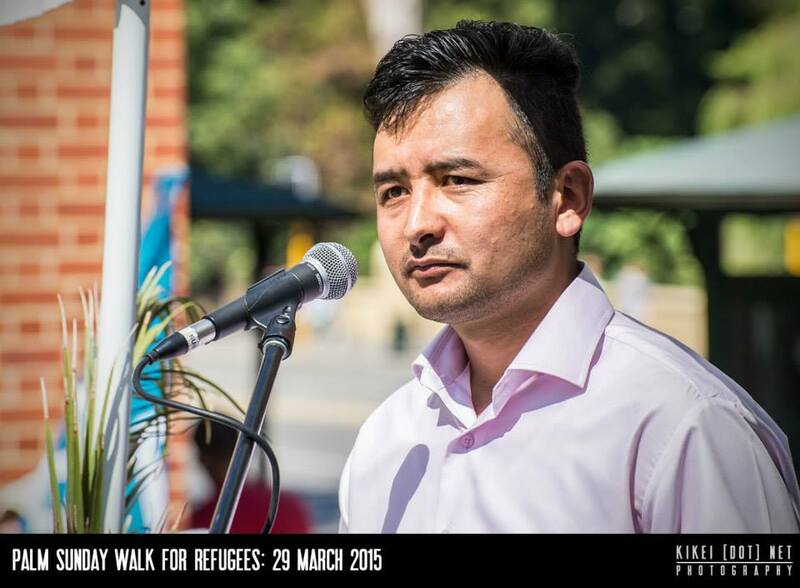 Afghan Hazara Ashraff Mohammad came to Australia by boat in 2011. 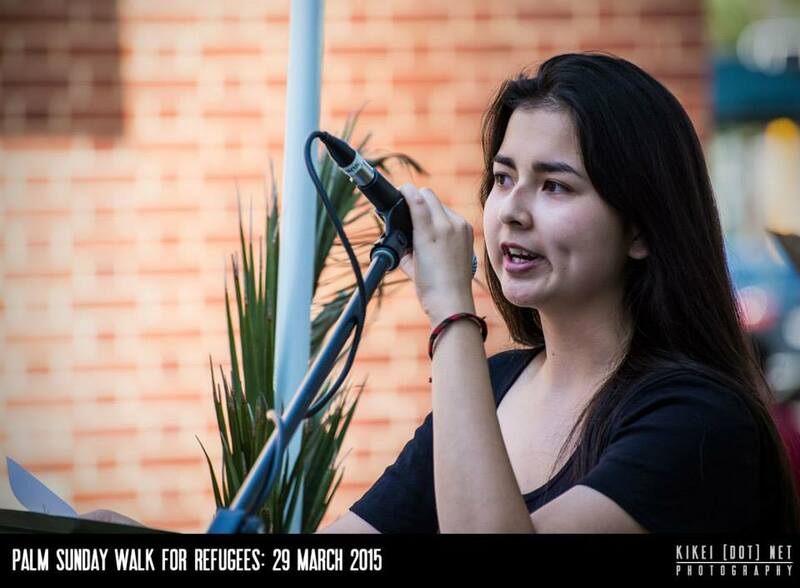 Ashraff now supports other asylum seekers and volunteers on the Welcome to Australia committee. Michelle Bui from the Refugee Rights action network brought messages from those people who are detained on Manus and Nauru. 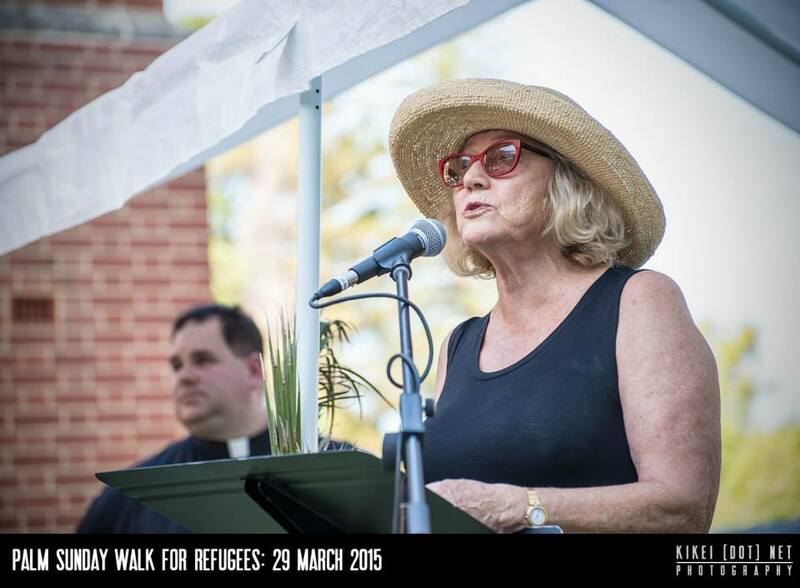 Prominent business person Janet Holmes a Court spoke about international obligations to protect refugees. 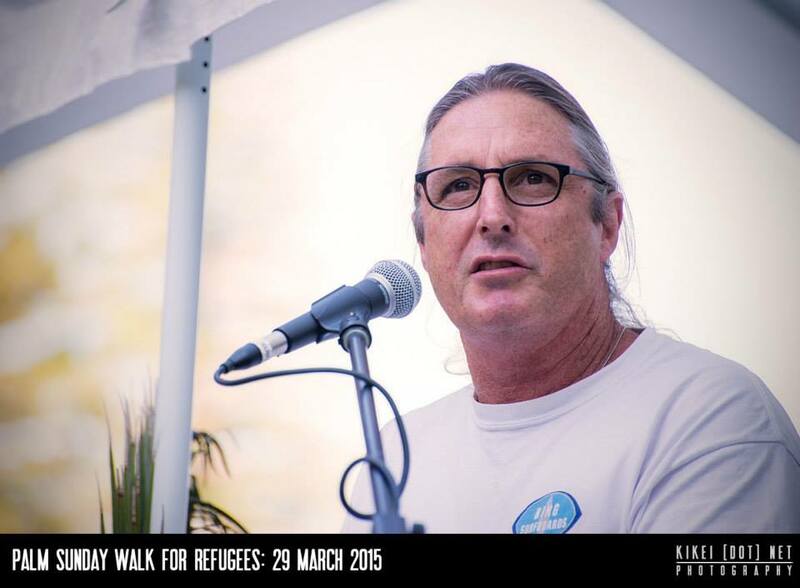 Multi-award winning author Tim Winton called Australia to turn back from harsh policies towards asylum seekers. The text of the speech is here on The Age website. 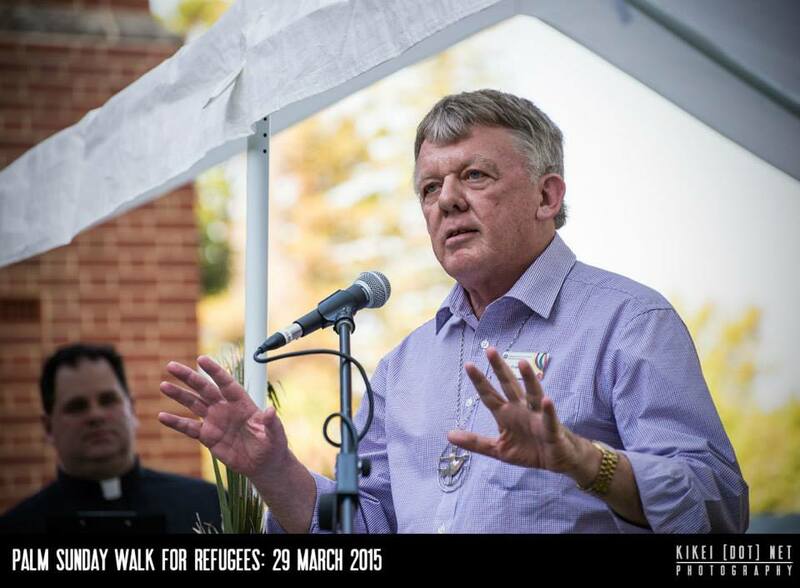 Moderator of the Uniting Church in Australia Synod of Western Australia Rev Steve Francis spoke of asylum seekers living in the community. Bishop Tom Wilmot blessed the walkers before we set off. 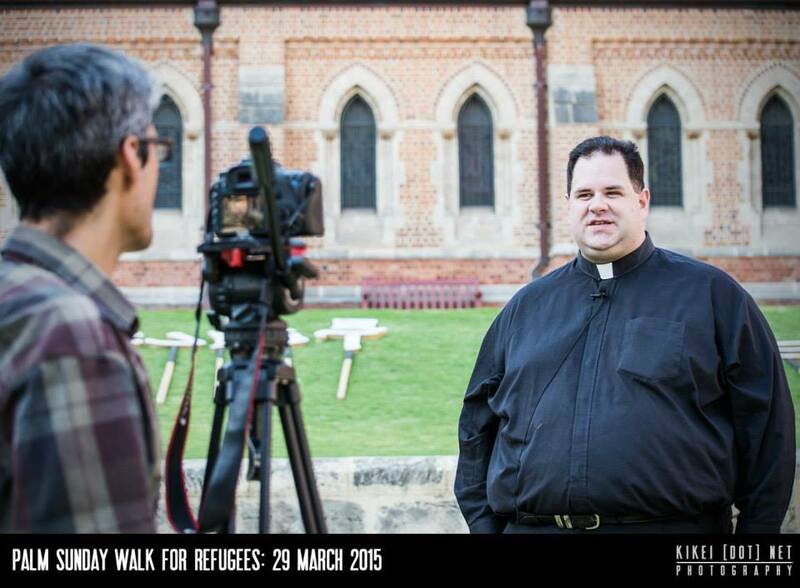 A big thank you to Father Chris Bedding for being our MC on the day. 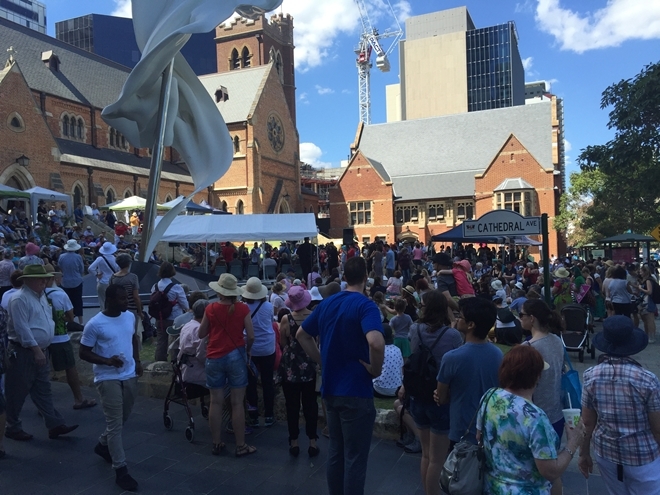 We were over 1000 people from a wide group of civil society organisations, churches and individuals calling for humane policies for asylum seekers and refugees in Australia. 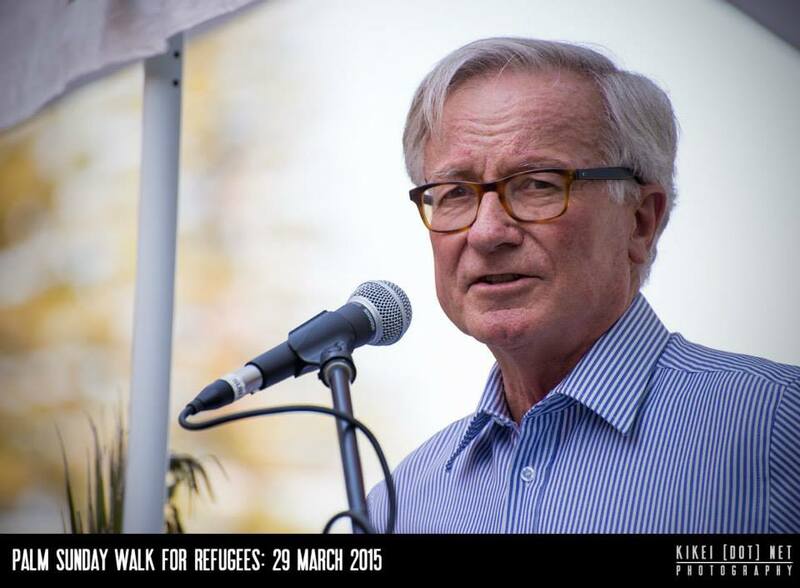 We are deeply troubled by the Australian Government’s treatment of asylum seekers. On Palm Sunday 2014 the palm branches used in Christian church celebrations were also put to extra use for the sake of asylum seekers. 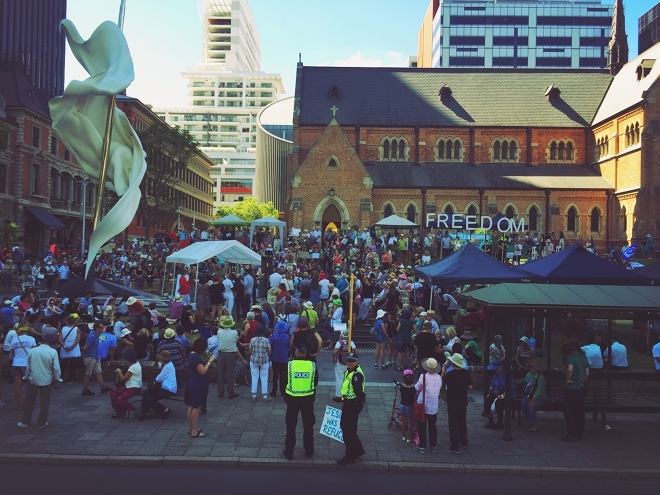 On the steps of St George’s Cathedral over 1000 people from a wide array of Christian churches brought their palm branches from their church celebrations and joined with community organisations gathered to proclaim a message of justice for asylum seekers. 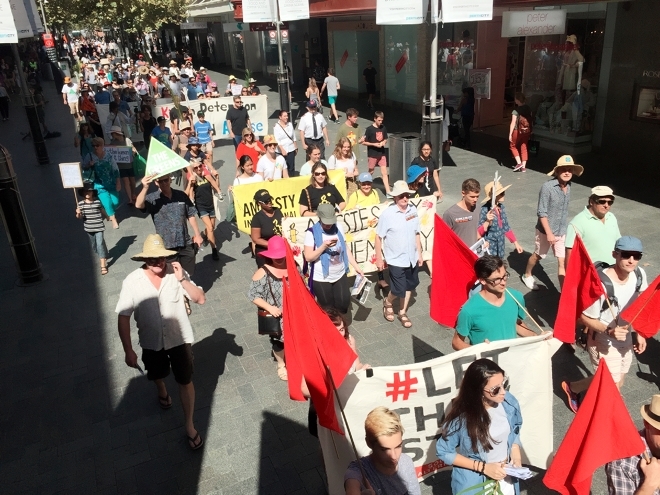 The action was echoed around the country with vast crowds gathering in most capital cities in Australia to call for an urgent change to the Australian government’s treatment of asylum seekers. Huge thanks to all who helped to make this event happen, and to all those who made the effort to come and join us on the walk. 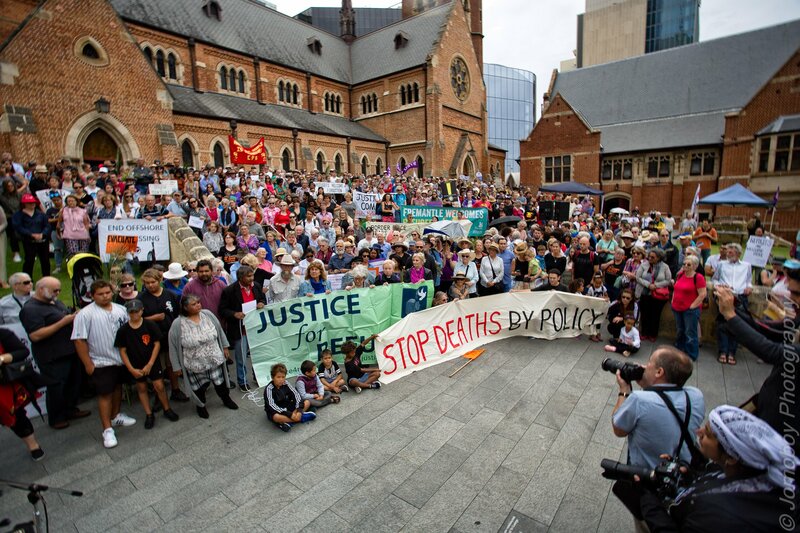 Dr Carmen Lawrence and new Anglican Archbishop Kay Goldsworthy will address the Palm Sunday Walk for Justice for Refugees today at 1pm at St George’s Cathedral, 38 St George’s Terrace, Perth. While Minister Peter Dutton considers fast track visas for South African farmers, thousands of refugees and people seeking asylum languish in the limbo of offshore detention and temporary protection visas. People in Manus and Nauru are approaching their fifth year in limbo, with the devastatingly slow US resettlement deal only a far off hope for some, and an unachievable dream for many. Approximately 30,000 refugees (the “legacy caseload”) await visa grants or live on temporary visas with their futures shrouded in uncertainty and limbo. Many families are separated with no hope for reunification due to cruel policy, and live in constant fear of deportation to danger. Dr Carmen Lawrence, Professorial Fellow, Institute of Advanced Studies at the University of Western Australia has been involved in the pursuit of human rights for decades and knows we can do better to respond to people seeking safety on our shores. 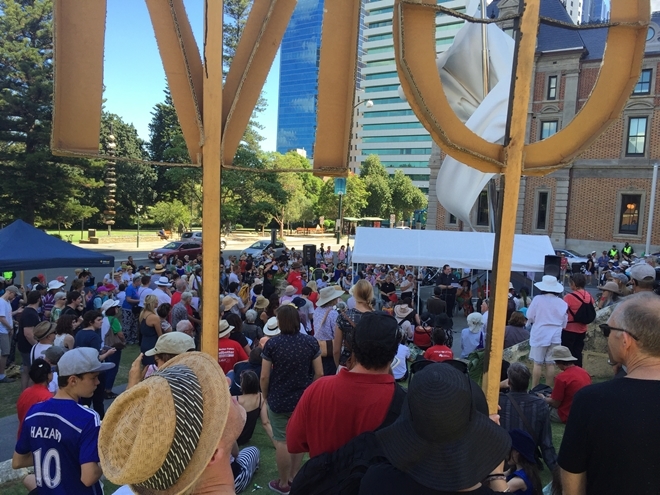 The Justice for Refugees WA network is calling on Australia’s political leaders to abandon the current harsh and unjust policies, and to provide permanent protection for people seeking safety. Instead of prolonging their despair, we can provide protection and freedom. 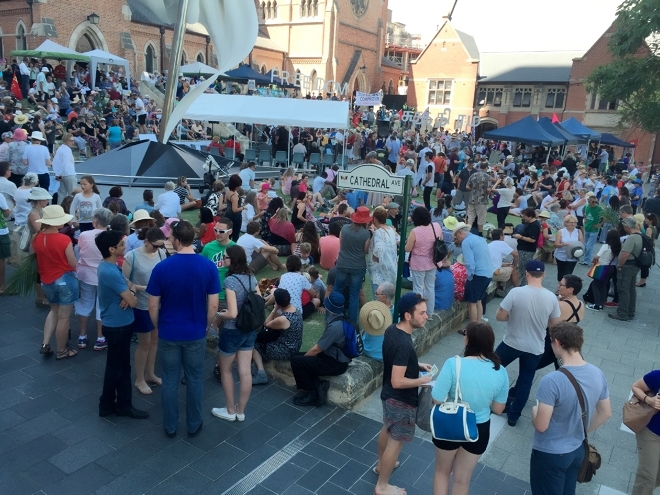 As evidenced by the contributions of previous refugee intakes – for example the Karen community in Nhill, Victoria and more recently Syrian refugees calling Australia home – the Australian community will benefit both economically and socially from welcoming refugees. 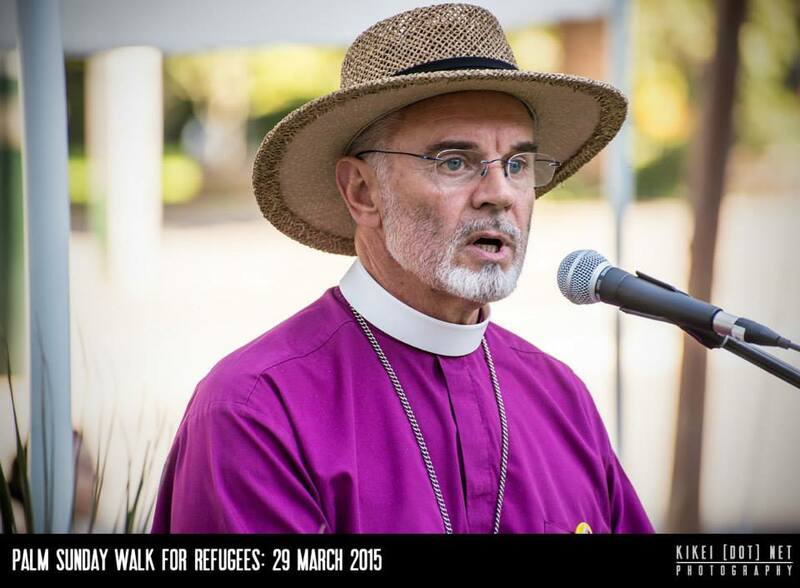 As one of her first major public appearances Archbishop Goldsworthy will join Dr Lawrence as a speaker at the start of the Palm Sunday Walk for Justice for Refugees. 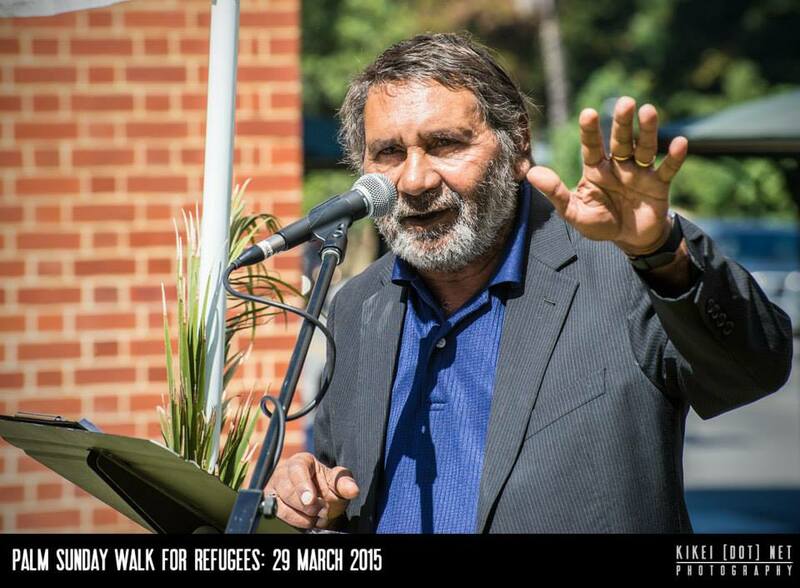 Geoff Bice, Social Justice Consultant, Uniting Church WA on 0438 910 650.